Ganga Prasad sworn in as the 16thGovernor of Sikkim here at New Raj Bhawan on Sunday. Ganga Prasad succeeds Shriniwas Patil as the 16th Governor of Sikkim. 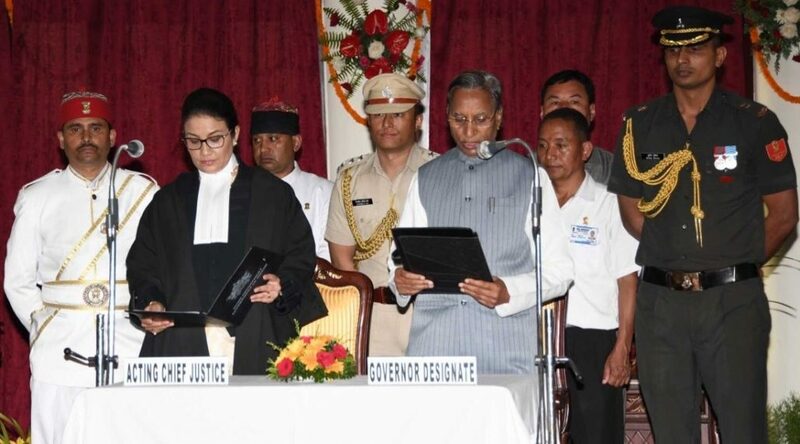 Acting Chief Justice of High Court of Sikkim, Justice Meenakshi M Rai has administered the oath of office to the Governor in the presence of Chief Minister Pawan Chamling, cabinet Ministers, Speaker of Sikkim Legislative Assembly and other dignitaries. Ganga Prasad has served as a Member of Legislative Council of Bihar for 18 years and also as the Leader of the Opposition (Bharatiya Janata Party) in the Bihar Legislative Council. He was also the Leader of the Bihar Legislative Council for the ruling party during the earlier NDA regime.